The full Streetlight Cadence experience washes over you within seconds of their first song. 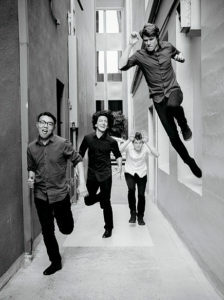 Joyful, creative, inventive, this is a brand, I mean band, that will stop you in your tracks. 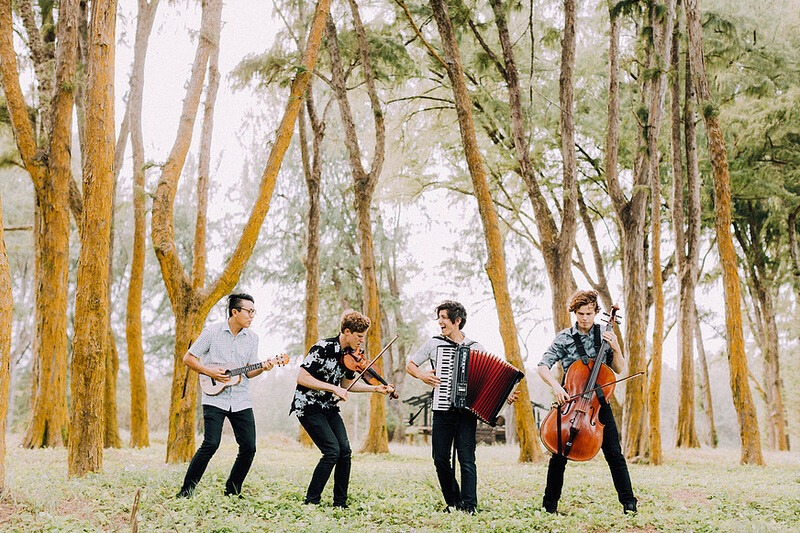 Hailing from Hawaii, Streetlight Cadence is a four member troupe that often sound like a supergroup of epic proportions, thanks to their musical vibrancy and powerful presence. 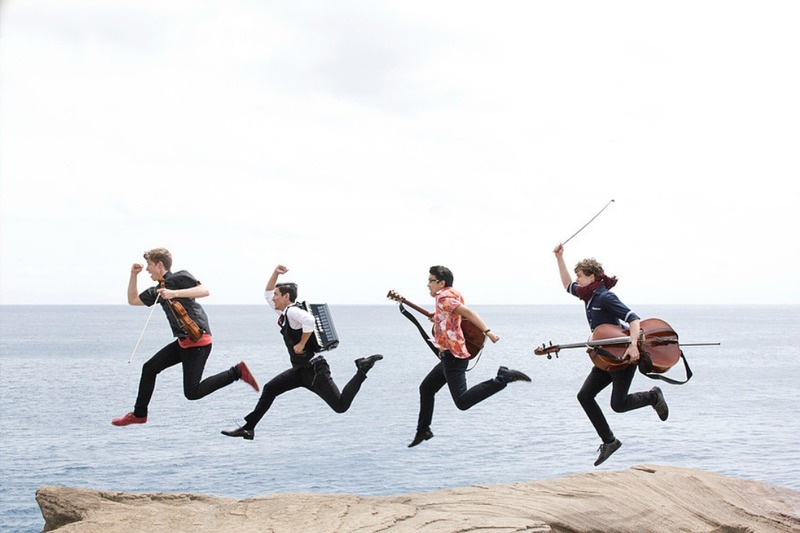 Their signature sound fuses classical (and often under appreciated) instruments with a forward-driven style that feels perfect for today. 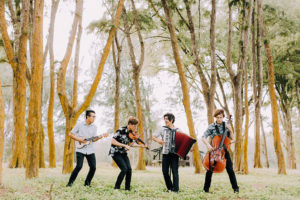 Immensely talented, sharply dressed, with a deep audience appreciation, Streetlight Cadence draws fans into their fun around the world through engaging social media and extensive touring. Jesse, Jonathon, Brian & Chaz have what almost any brand (and band) would kill for- star power that resonates instantly. Can you please share the story about how the four members of Streetlight Cadence connected? Jonathon Franklin (violin) started the band with Daniel Duncan (guitar) and Jesse Shiroma (accordion). Jonathon and Daniel had met at a college open mic night event and quickly became friends and decided to form the band. Daniel (guitar) had it in mind to feature unusual, off-beat instruments in the band and so the two of them put an ad out on Craigslist looking for “Unusual Instruments (double bass, banjo, accordion, etc. 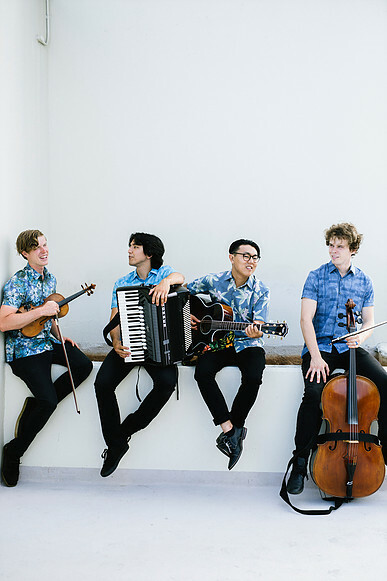 )” Jesse (accordion) was a new accordion player at the time and was looking for people to perform with. He happened across the Craigslist ad and soon became the third member, at which time the group created the name Streetlight Cadence. A year passed and Daniel was preparing to move back to the U.S. mainland for work. Jonathon (violin) then invited Brian (cello), whom he had met at Hawaii Pacific University’s Orchestra (HPU), to come to a band rehearsal and see if he enjoyed performing with them. Brian joined the group a week later, directly prior to Daniel finally moving away. Chaz (guitar) was actually the sound guy for the very first open mic Jonathon, Jesse and Brian performed at as a trio, without Daniel. Chaz quickly became a friend of the band. He and Chaz would often run into each other at events around the island. It wasn’t until three years after this meeting, and after going through several other members, that the band would invite Chaz to join up. It has been three and a half years since then, and this has been the main form of Streetlight Cadence. I discovered the band at a Grammy Museum concert honoring musicians from Hawaii. What role does home play in the style of music you play and band culture? 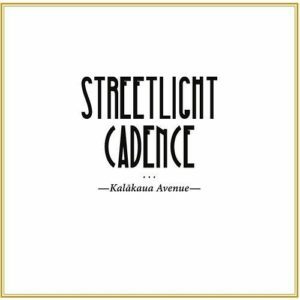 Streetlight Cadence’s history is in Hawaii, and the majority of our fans and accolades come from the islands. 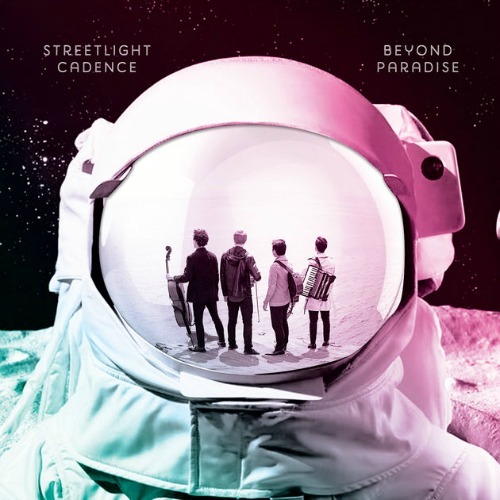 Streetlight Cadence has had the most success of any independent, alternative music group to begin in Hawaii, and we continue to receive honors for this, including a headline position at the Grammy Museum’s unveiling of the WE ARE FRIENDS exhibit. 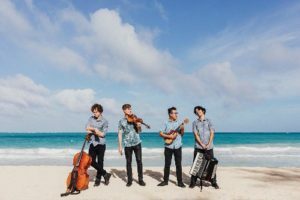 Hawaii is a “melting pot” of culture and influences and this is even evident in our group: featuring various Asian/Pacific-Islander races among our members and an eclectic range of instrumentation. Even our attire is aloha wear, thanks to our sponsor, Tori Richard. 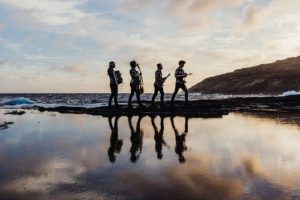 Two of our members were born and raised in Hawaii and you can see aspects of that culture every day in our group, especially a longing for home (Hawaii). I wouldn’t say Hawaii has heavily influenced our sound as a group, however, we might say we are not “Hawaiian musicians”, but “musicians of Hawaii”. What creative forces do you look to, personally, to get inspired to write and perform? 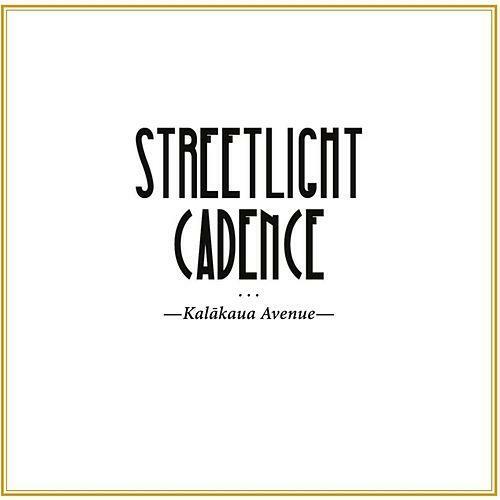 Streetlight Cadence has performed in a really wide range of venues from theaters to Downtown Disney…and sidewalks. What have you learned about audiences and interacting with them from these diverse venues? To us, in a sense, it’s all the same. Establishing a direct connection with audience members is key, it’s just that the way you interact with them and how intimate you can be varies, depending on whether you’re on the sidewalk or on a big stage. I would say the sidewalks have been a great place for cultivating our talent and confidence because it’s a very real, ground zero type of environment for audience interaction. If people don’t like you or your performance, they won’t stop to listen to you. This helps us learn how we can improve upon things and get more people to stop and listen. I’ve got to think most of your younger audience members are hearing & seeing an accordion for the first time EVER! Yes! Not to mention the fact that many of our older audience members are seeing a foot percussion playing accordionist for the first time EVER too! Tell us about the decision to use Patreon to help fund your work. We arrived at the conclusion that we need to regularly release content, ideally once a week, to our fans. To do this, we also needed to gain skills in recording and producing our own songs and videos. We were aware of Patreon for quite a long time and finally decided to use it as a way of tying everything together (weekly releases with the opportunity for early preview and other rewards to our Patreon supporters) and giving our stronger supporters the opportunity to become our patrons! 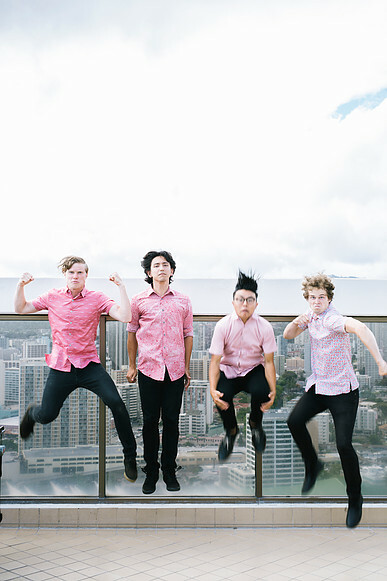 Finally, you’re an awfully stylish band. It’s part of your brand, for sure. Have you always coordinated or did your style evolve as the band matured? We honestly started as college kids in Hawaii: shorts, sandals, tank tops, t-shirts, ripped clothing, etc. We didn’t care and this style persisted for quite a while! It wasn’t until the band’s fourth year that we realized if we want people to take us seriously, we have to dress the part. From there, we evolved a little and, in our fifth year, decided to do an actual uniform with fitted Express shirts, adding on a little at a time and arriving where we are about nine months ago.